The Shenzhen Guanzhoo Architectural Development Communication Center is a non-profit civil organization. The ATU Micro-Classroom is a continuous activity program to promote architectural culture and sustainable development of the built environment. The micro-classroom has since been held more than 50 times and is highly successful and well-regarded by industry professional and the public. Dr Edison Zhang presented a case study of the award-winning green project “Double Cove” in the New Territories of Hong Kong. This project won the World GBC Asia Pacific Awards 2016 from the World Green Building Council. Vertical Greening Academic Committee is a sub-committee of the China Green Building Council (CGBC). A ceremony to commemorate the new term of the Vertical Greening Academic Committee was held in Beijing on July 13, 2018. The Committee is setup to promote the development and application of vertical greening technology for tropical and subtropical areas, and to standardize the design, construction, commissioning and maintenance for vertical greening practice. The Committee will take the lead to compile the technical code for the application of vertical greening in the tropical and subtropical climate areas. Mr. Peng Yisong, our landscape director, presented a case study and analysis of a vertical greening project in Hong Kong at the ceremony. On 23-24 December 2017, to celebrate Christmas, SRT’s Shenzhen and HK staff went outing to the Nine Dragon Eco-Agriculture Park in Shenzhen and enjoyed a two-day ecological tour on the urban farm. To benefit from the more than 3,300 acres of natural environment and agricultural land of the park , we adopted the outing theme of “Eco-Experience”to reinforce the notion that we have always upheld our company’s core value of “GREEN, DIVERSIFY, INNOVATE”, and that we support environmental protection and advocate green practice in all our company’ s activities and operations. One of the most challenging group activities during the two-day event was the three-person, four-legged race on a simulated pebbles-bed race track while unmercifully tested the participants’ thresh hold for pain and endurance, nevertheless the game succeed to demonstrate the importance of team members’ cohesion and mutual support in order to win the race. The subsequent was without doubt the noisiest game of all, that also kicked up the most dirt and sweat for the two teams. Interestingly, group skipping was very actively participated and enjoyed by most, may be having brought back childhood memories. The most savoring activity of the whole outing must be our lunch-cooking competition, both for expediency as well as gratification of the taste buds. All the food ingredients are organic, including free-run chickens and organic vegetables direct from the farm, cooking was done with firewood in open air. It was a short but truly invigorating outing for all, under almost perfect outdoor temperature, sun and blue sky. The International Botanical Congress (IBC) was held at the Shenzhen Convention and Exhibition Center from 23 to 29 July 2017, with part of the symposia being held at the Sheraton Shenzhen Futian Hotel. The XIX International Botanical Congress drew to a successful closing after six days of exchanges and discussions among industry experts and scholars. Our Landscape Design Director Mr Sean Peng attended the Congress with our landscape team with fruitful learning and sharing of experience. Concurrent with the Congress, the Shenzhen Green Building Institute set up a dedicated committee to study and research on “Vertical Greening for buildings”. 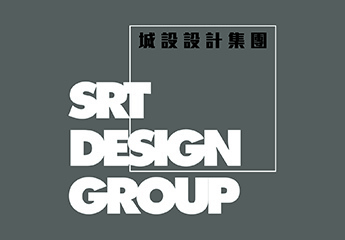 SRG City Landscape (Shenzhen) Ltd was invited to be the vice-chair of the Vertical Greening Committee.